A pretty interesting pattern is shaping up for Europe next week. We take a closer look. 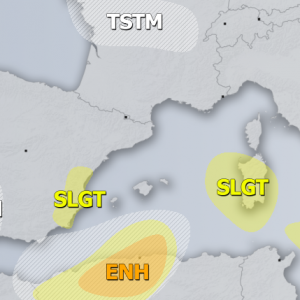 Early this coming week, the pattern will be characterized by strong ridging over northern Europe and northwestern Russia while another ridge dominates northern Africa and parts of Mediterranean. In between, strong westerlies support enhanced shear and more dynamic weather. Severe weather periods on some of the days are expected. 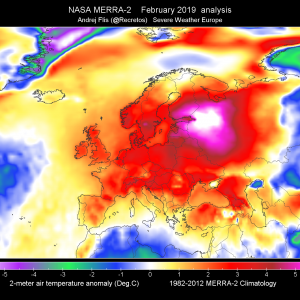 Above normal temperatures will be confined to northern Europe. Meanwhile near-normal to slightly below normal temperatures are expected from WSW towards central Europe. 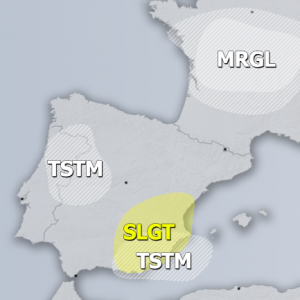 One robust through pushes across the Iberian peninsula towards the Mediterranean already tonight and leads into increased severe weather potential from N-NE Spain into S France and N Italy/Alpine region. Moderately strong shear overlaps with moderate to locally strong instability, which will support organized storms and convective systems overnight. 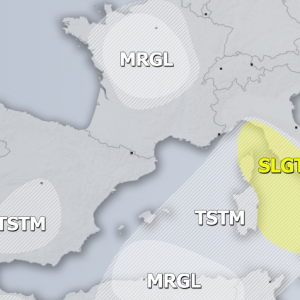 The through then pushes across the northern Mediterranean and supports severe weather across central Italy, Adriatic sea and western Balkans on Monday and Tuesday as well. 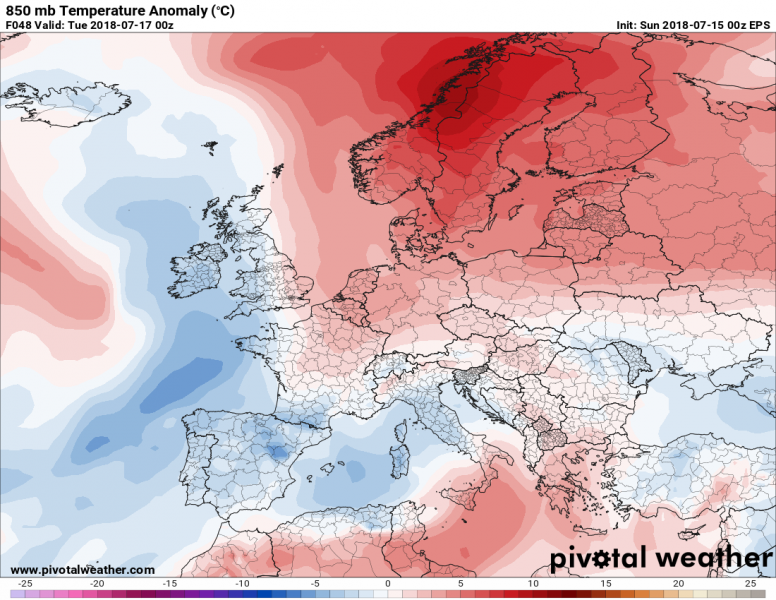 The current pattern allows stable and unusually warm period across northern Europe where very warm to locally hot airmass should remain through much of the coming week. Expect rather stable, but hot summer days across Scandinavia and surroundings. 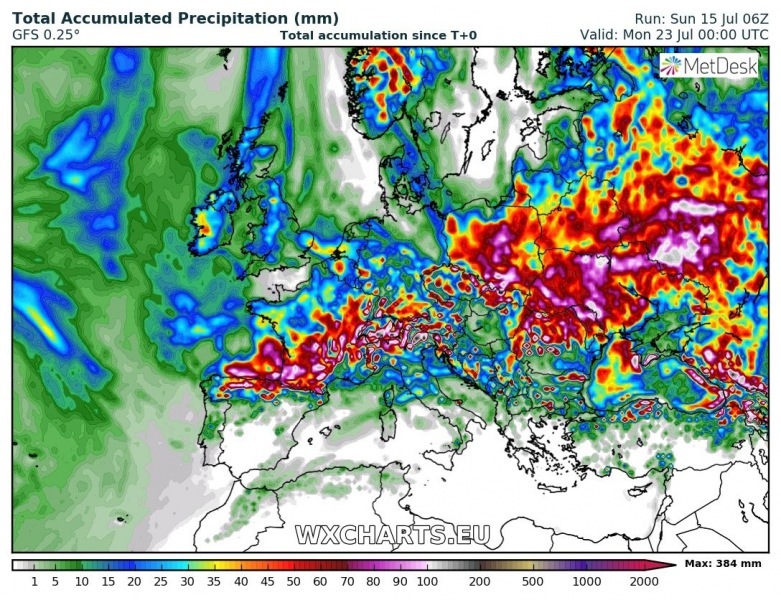 Dynamic pattern across central Europe should also result in lot of rainfall due to high moisture content and almost daily storm activity. 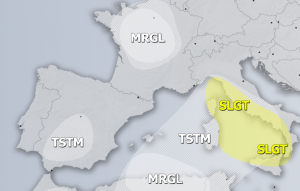 Locally 100-200 mm or higher rainfall sums are not ruled out in some regions. 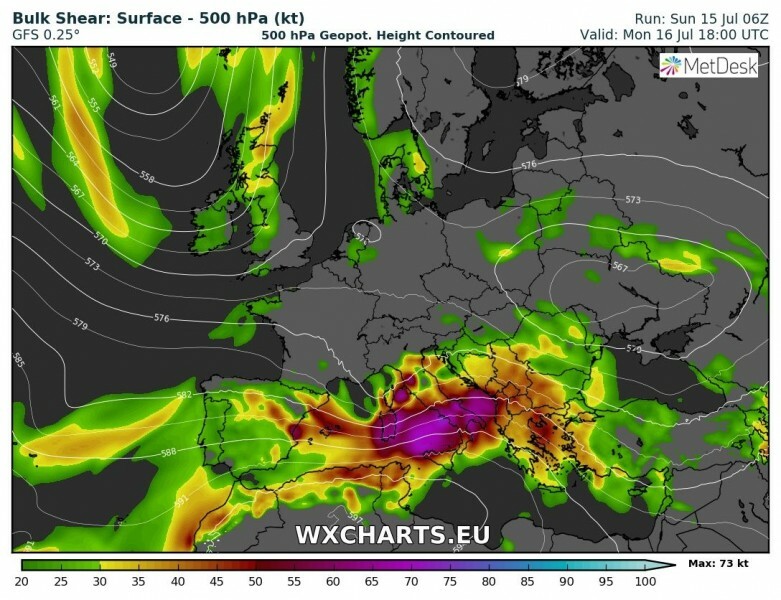 An interesting feature in the pattern develops towards the next weekend as a trough takes place across SW Europe towards central Europe, increasing potential for severe weather period with improved wind shear across the unstable boundary layer. Stay tuned for further updates on the pattern evolution in the coming days!